While the winter season in the United States is welcomed by trick-or-treating and family gatherings around roast turkey, my memories growing up in Switzerland are defined by delicious broiled cheese, where winter's arrival is commemorated by raclette and fondue - think Heidi and her grandfather's old chalet high in the snow covered Swiss Alps. Restaurants like The Melting Pot have popularized fondue, however raclette remains relatively unknown outside of France and Switzerland. Wanting to share this fun seasonal tradition, we began hosting raclette parties several years back, to rave reviews from our US friends. If like us, you love spending an evening laughing with friends over mounds of melted cheese, here's everything you need to know to throw a party of your own. A critical component to any raclette meal is the machine used to broil the cheese. A quick search on Amazon and you'll find that machines range in shapes and sizes, from round to rectangular, serving anywhere from 4 to 12 people. Our favorite is the classic 8 person machine by Swissmar. Raclette is all about the cheese from which the meal derives its name. Over the years, we've taken liberties with the side dishes, but the actual cheese used is where we draw the line. Yes, you could melt brie or cheddar, but if you're going to call it a "raclette party", you should be serving raclette cheese. Your best bet and most reliable source for finding said cheese is your local cheese monger. 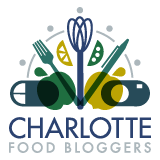 Our favorite shop in Charlotte is Orrman's Cheese Shop and back in our Boston days, we regularly frequented Fromaggio Kitchen in the South End and Wasik's in Wellesley. While you won't find raclette on the shelves of your local grocer, Trader Joe's has been carrying the cheese as a seasonal item for the past few years. But beware, supply is limited and their inventory goes fast. We've also had luck sourcing from Whole Foods Market. And of course, in this day and age, there is always the internet. Traditionally, a raclette meal starts with a platter of thinly sliced cured beef, known as Bünderfleisch. Unable to find Bünderfleisch in the US, we substitute with Bresaola, its Italian equivalent. With charcuterie trays being in full vogue, we like to incorporate the bresaola into a larger display of cured meats and small bites, for guests to enjoy while they sip on a cocktail, waiting for others to arrive. As uncompromising as we may be around the type of cheese used, the foods we pair with the cheese have evolved over the years. Where a traditional Swiss raclette consists simply of boiled new potatoes, pickled gherkins, and melted cheese, we've expanded the offerings, which we've found to be most helpful when accommodating guests with varying dietary restrictions. Whether they're gluten-free, lactose intolerant, or vegetarian, a good mix of sides ensures that everyone will be satisfied. Potatoes - These are essential and traditionally paired with the cheese. You'll want to use new potatoes, which are smaller. In a pinch, you can also use yukon gold potatoes. When cooking, don't peel them. Simply remove the eyes, wash, and boil in salt water until fork tender. Pickled gherkins and pearl onions - The acidity of the pickle gherkins, known as cornichons, and pearl onions brings a nice balance to the melted cheese. Most grocery stores carry cornichons in the pickle section, while pickled pearl onions are commonly found in the cocktail mixer section, given their popular use in briny cocktails. Bread - Bread isn't traditionally served with raclette but our US friends have made it clear that it should be. Many like scooping the melted cheese over slices of French baguette. Sausage - Serving bratwurst or Italian sausage with raclette is a wonderful way to provide options for those that may not be as intent on gorging on cheese. Boil the sausage beforehand so that it is fully cooked (be sure to poke holes in the casing of the sausage before cooking). Once fully cooked, cut the sausage into one inch slices. These can be reheated on the raclette machine griddle during the meal. Mustard - We like to offer two or three different types of mustards to our guests and prefer Dijon and whole grain. The French brand Maille and North Carolina's Lusty Monk are two favorites. Pepper and Onions - Inspired by memories of late night sausages in Boston's Faneuil Hall, peppers and onions provide another wonderful side for friends who may have dietary restrictions. Cut the onion and peppers into strips and sauté in a pan with salt and two tablespoons of olive oil until soft. These can be reheated on the raclette machine griddle along side the sausages during the meal. Bacon Bits - Between the broiled cheese and sausage, adding bacon to the mix may feel like you're begging for clogged arteries, but you know what they say - everything tastes better with bacon! Bake or fry the bacon strips ahead of time and crumble into pieces that can be sprinkled overtop the melted cheese. Pickled Peppadow Peppers - These slightly spicy peppers are a great way to add a little heat to the dish. They can be served whole or chopped up and served in a little bowl to be spooned over the food. The raclette machine should sit in the center of the table, such that everyone can reach their respective raclette tray. Depending on the size of your party, you may want to have a serving of cheese and sides on each end of the table. This will ensure that everyone has easy access to all of the fixings, avoiding a constant passing of dishes throughout the meal. The potatoes should be boiled right before everyone is ready to sit down. To keep them warm, line the potato serving bowl with cotton linens or a dish towel, folding the edges overtop of the potatoes. To reheat the cooked sausages, peppers, and onions, we typically use the raclette griddle. Friends of ours recently came up with the idea of using a crockpot trio to keep their sides warm, which if space allows, is a great option. An unoaked, high acidity, white wine or warm tea are typically served with raclette. In Switzerland, one would drink Chasselas, a wine produced in the Swiss region of the Valais. Alas, Switzerland exports very little, if any, of its wine, so you'll need to resort to something from another region. Excellent options include Alsatian Pinot Gris or Chardonnay from Chablis. A wide range of white wines will work well. Although, we recommend steering clear of heavily oaked Chardonnays and sweet wines. The Swiss would tell you to avoid drinking cold or carbonated beverages, as these make digesting the cheese more difficult. Our beer loving friends, however, have challenged this notion and to date no one has complained. As a result, we offer a variety of beverages to our friends, even if our preferred choice remains white wine. After a rich meal like raclette, you'll want to keep things light for dessert. Our two favorite options are fruit tart and/or orange slices marinated in Grand Marnier. If you end up with lots of leftovers, rejoice! This is an easy and tasty dish to enjoy the next day. Simply chop up the leftover cheese, potatoes, sausage, peppers, onions, and bacon and toss together in a baking dish. Bake in the oven at 350 degrees until the cheese is fully melted and enjoy a hearty leftover casserole.